The German-Israeli Joint Venture MAX Bogl WuWa BAU and ELECTRA INFRASTRUCTURES HOFREY HASHARON is the executor of the works contracted by IGUDAN (Dan Region Association of Environmental Infrastructure) one of the main bodies responsible for water planning and resource management in the hydraulic public domain in Israel. 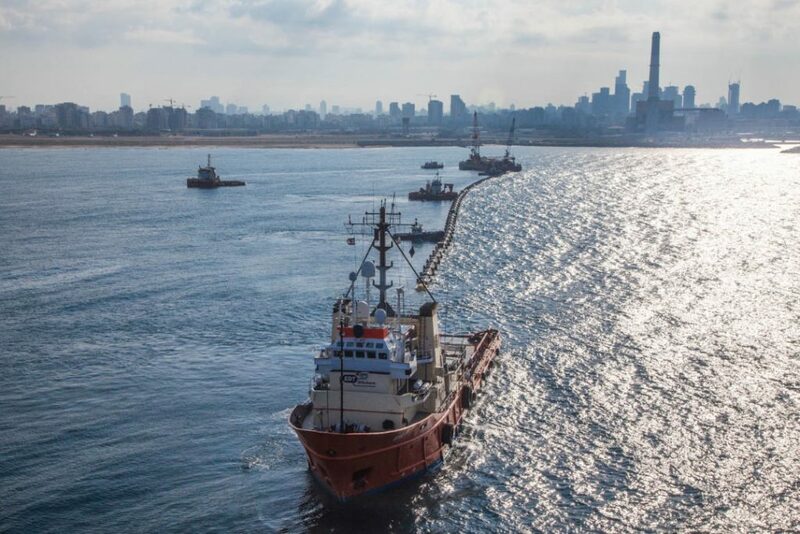 It is a construction project for the implementation of a new underwater hydraulic pipeline that will receive waste water from the city of Tel-Aviv during the stormy season. 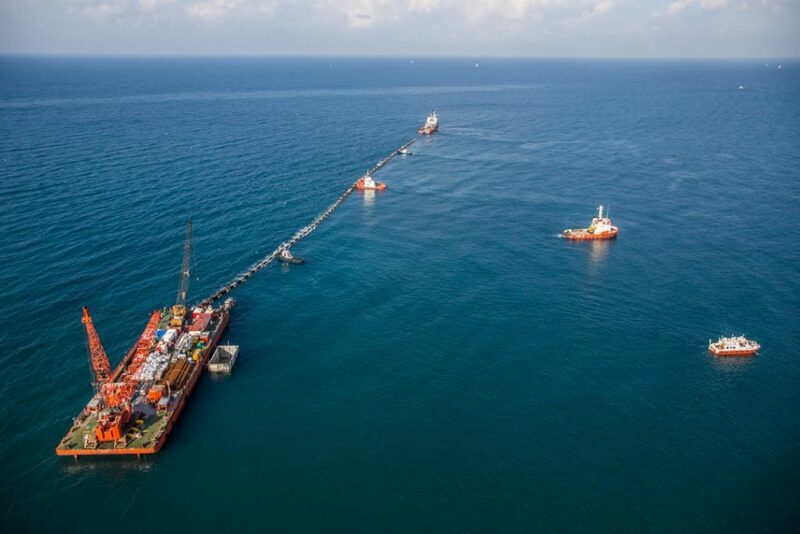 This new pipieline will replace a damaged existing pipeline, which will be demolished once the construction is completed. 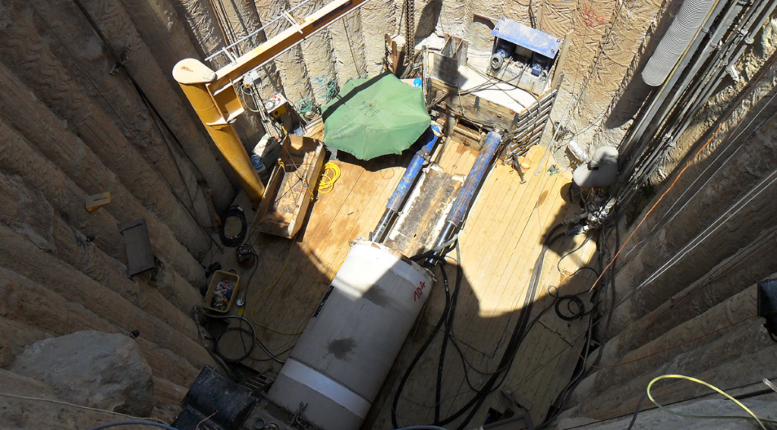 Pile driving pit with an internal diameter of 12 m and a depth of 12 m.
Pipeline with internal diameter of 1,600 mm of concrete and 550 meters in length. HDPE pipe with inner diameter of 1,600 mm and 400 meters long, which will be installed by the “controlled sinking” technique. 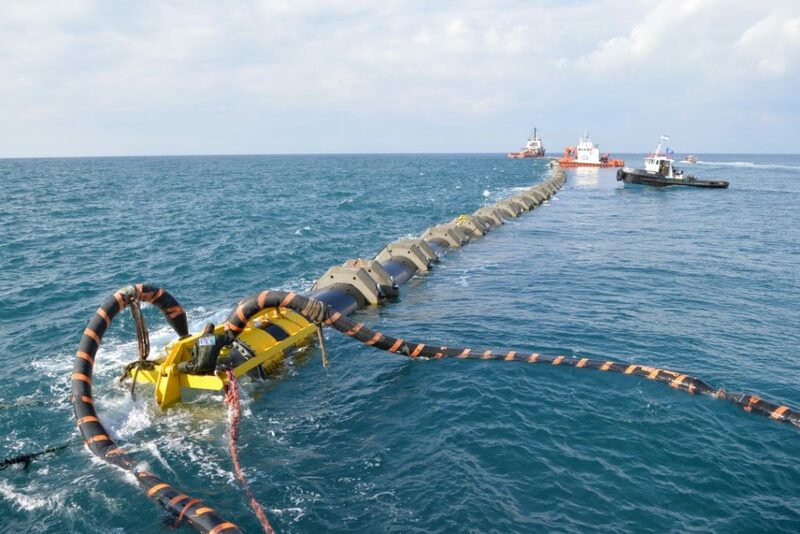 Land section of the outfall pipe 1.6 – 1.8 m FRP with a length of 50 meters for the connection to the existing land pipeline. The difficulty of the project lies in the need to overcome a working height of about 7.50 m above the ground, which means that a special and costly construction method must be used for the pipe piling. The duration of the work is estimated at 18 months from its start. Design and calculation of the driving shaft. Design and calculation of concrete weights for the polyethylene pipe. Stability study of the underwater pipeline. Design and calculation of the “on-shore” section of the pipieline. 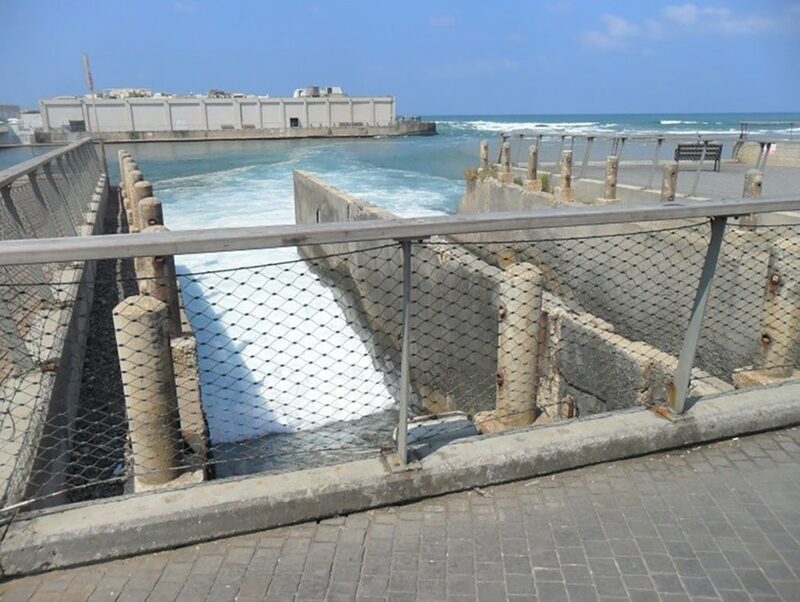 Underwater Hydraulic Pipeline for Storm water Relief in Tel Aviv.